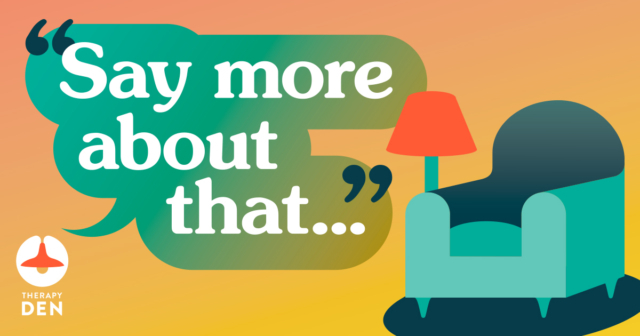 “Say More About That” Show Notes: Episode #3 – Jake and his EPIC journey to finding a great therapist. Jake, a gay man in his 30's, was introduced to therapy in fifth grade. It wasn’t great. When Jake was young, his family thought he might need more masculine energy in his life. He wasn’t really having it. He broke up with his assigned Big Brother. He had one powerful therapy session with a local therapist right before his family packed up and moved to Portland. After a few failed attempts over several years, Jake went to a therapist following an event at work that triggered obsessive thoughts. Finally, this therapist was the perfect fit. Tune in to hear what he thinks straight therapists should know about gay clients and a bizarre story about his experience with a psychiatrist. Jake was a delight to chat with and this episode is full of funny and moving moments as he shares his therapy journey. 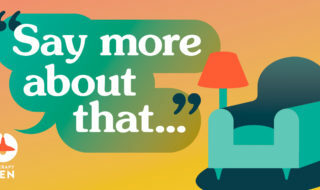 Jeff, a licensed therapist and the host of Say More About That, talks with Jake about his experience of searching for a therapist and going to counseling. Jake talks about his “pure obsessional OCD” and how it manifested at different times in his life. Jake shares a really powerful experience that he had in just one session with a therapist. Jake talks about how he felt rushed out the door during a particularly powerful moment and how that effected the therapeutic relationship. Why Jake’s favorite therapist was really the perfect match for him – everything from his personality to his techniques to his office decor. And a really bonkers, and not okay, experience he had with a sketchy psychiatrist.